Does Gratitude Make You a Better Boss? | SeibCo, LLC. Expressing gratitude shows that you care about your employees, job, and clients. It’s a smart way to motivate others, particularly when faced with challenges. Absolutely! Expressing gratitude shows that you care about your employees, job, clients, and boss. It’s a smart way to motivate others and keep morale up, particularly when faced with challenges. 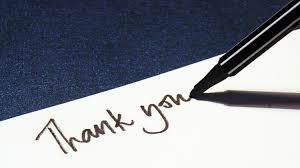 Expressing your gratitude can be done both verbally and in writing. Remember, your words and actions make a big difference in keeping talent and building a positive workplace culture. Brag! Bragging about your employees sets an example for them to brag about each other. Include the small wins as well as the bigger ones! Be Sincere. When expressing gratitude, it must be sincere. That will develop trust and increase job satisfaction. Set aside your ego. Learn to acknowledge others for each and every effort, even if it’s part of their everyday job. Be Positive. Being grateful is not a one-time expression. It’s being thankful, even in the face of challenges. For example, when an employee hands in an assignment late, express appreciation to start a conversation in a positive tone. Then, you can delve into the challenges that need to be addressed to have assignments done on-time in the future. Say Please & Thank You! These two powerful phrases still express a lot of gratitude when said with sincerity. Use frequently for best results! Remember, developing gratitude is learned by practicing it over and over (on a daily basis) until it becomes a natural part of who you are as a boss! Jeannette Seibly is an award-winning speaker, coach, and business owner. During the past 26 years, she has guided bosses to create more fun, money, and success when working through confusing situations. Stuck in a project or other situation? Contact Jeannette for straight talk with dynamic results.